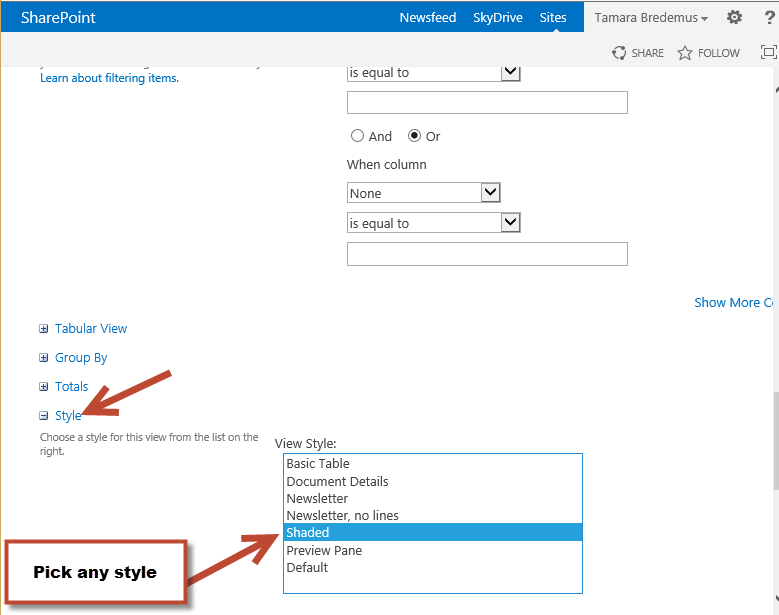 Links to Additional Views Disappear in SharePoint 2013 When OOTB Style is Applied | Hey Tamara! I found many instances of this and other weirdness with the view style “Shaded” when migrating MOSS 2007 sites to Office 365/SharePoint Online Sites. I never had time to look for a cause. Yep. I experienced the same. Had to resort to default style along with CSS through Content Editor Web Part for alternate rows shading while retaining the default views on top of the list. To get the shaded rows and also have the views. Yeah SharePoint is doing nothing to improve it’s history of being more than rough around edges. The quality of SharePoint as a product seems to be as low as ever. I’d hate to see the code base for this behemoth. A bandaid on a bandaid on a bandaid.